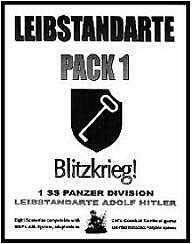 Waffen SS: No Quarter - No Glory! 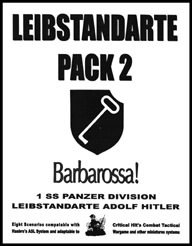 DASL 1: Guryev's Headquarters DASL 2: Berserk! ASL A9: Midnight Massacre ASL A10: The Borders Are Burning ASL A11: Silent Death ASL A12: Savoia! ABTF 5: Tigers to the Bridge! ABtF 6: Just in Case ABtF 8: God Save the King! AA 9: VII Corps Bridgehead AA 10: Go to Town AA 11: Absent Friends AA 12: Westward Ho! AA 17: Millet's Men AA 18: A Bridge So Far AA 19: Gavin Train AA 20: You've Killed Us! BP 1: Two Long Bars BP 2: Ice Follies BP 3: Prussian Panic BP 4: "Clear Up the Bridgehead." IDRAC `92 (4): Panzers Marsch! MT 1: Gela 1: Force X Arrives! OB 7: Where's The Beef? PBP 26: Steamrollers PBP 27: Evening Rush Hour PBP 28: Peningkibaru Push PBP 29: Block at Anui PBP 30: All Aboard! SP 25: Two Pounds in Return SP 26: Wollersheim! SP 77: Green Jacket's Bridge SP 78: The Golovchino Breakout SP 79: The Mius Trap SP 80: Die Gurkha Die! SP 95: Burn Gurkha Burn! Tac 6: Contre-Attaque à Villers-Bocage Tac 7: Piege a Carpiquet Tac 8: Balade a Champfleur Tac 9: Stutzpunkt Lezongar Tac 10: Debout les Bambins! Tac 61: Des Fantomes Dans La Jungle Tac 62: Panzers Marsch!